Conducting a risk assessment need not be a tiresome task but many still struggle with what is an essential but mostly simple task. The key is not to over-complicate things, just consider what the hazards are, who they may affect and how to control them. 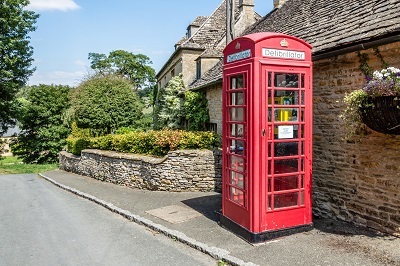 Sounds easy for general issues but what about those areas of health and safety that do not seem so straightforward, such as assessing the need for defibrillators and then deciding on how many are needed? Or how to conduct a thermal or psychological harm risk assessment? The following steps should help you along your way. Health and safety legislation does not require employers to have an automated external defibrillator (AED) onsite. However, some employers opt to have them and this decision would have been based on a needs assessment. This needs assessment can form part of an overall first aid risk assessment and involves estimating the potential risk of a sudden cardiac arrest (SCA) occurring, as well as taking into consideration the potential consequences. Essentially this is likelihood versus severity (consequence). The Resuscitation Council (UK), which issues guidelines on resuscitation, suggests using a 1 to 5 scale. Likelihood would range from rare (1) to almost certain (5); severity from negligible (1) to extreme (5). Both values are then multiplied in a 5×5 matrix to establish the need for an AED. nature of work/activities undertaken at the location. A sudden cardiac arrest is always going to be severe, resulting in death if not treated, therefore the severity score will always be 5. Regardless of a successful resuscitation, the impact on an individual’s health will be substantial. If the time from emergency services call-out to site is deemed greater than five minutes, then this also increases the need for an AED. If the risk is sufficient to require an AED, the appropriate number of devices would depend on the assessment findings as well as the number of trained first-aiders on site. There is no official guidance on the appropriate number. 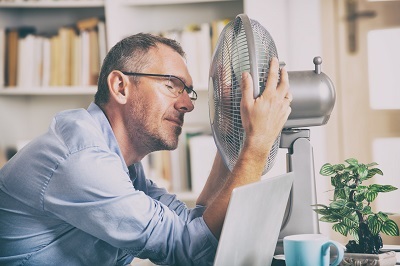 Many employers would have considered the thermal comfort of their employees during this year’s sweltering summer months. Whether this was done prior to the heatwave or when employees started to feel discomfort is another matter. Thermal comfort is defined in British Standard BS EN ISO 7730 Ergonomics of the Thermal Environment. Analytical Determination and Interpretation of Thermal Comfort using Calculation of the PMV and PPD Indices and Local Thermal Comfort Criteria as “that condition of mind which expresses satisfaction with the thermal environment”. Put simply, thermal discomfort is where one starts to feel uncomfortable, due to either the heat or the cold. The law does not state a minimum or maximum temperature, but the Health and Safety Executive (HSE) advises that the temperature in workrooms should normally be at least 16°C or 13°C if much of the work involves rigorous physical effort. The Chartered Institute of Building Services Engineers (CIBSE) advises that indoor operative temperatures of more than 28°C for long periods of time will increase dissatisfaction and reduce productivity. Exposure to excessive heat can also lead to heat stress and dehydration, therefore employers should be taking steps to ensure that employees are as thermally comfortable as possible. This is not always a straightforward task as we all have differing preferences when it comes to thermal comfort. Before delving into a risk assessment, it is worth completing the HSE’s thermal comfort checklist to assist in identifying whether there is a risk of thermal discomfort to employees. The checklist is split into factors based on the six basic factors that affect thermal comfort, which range from air temperature to metabolic rate. Where an employer ticks two or more “Yes” boxes on the checklist comprising of 17 questions, there may be a risk of thermal discomfort, which will lead to the need for a more detailed risk assessment. A more detailed risk assessment would delve into how overheating can occur and what steps can be taken to reduce it and maintain thermal comfort. It will identify those who may be most at risk and where they can be deployed to in a building, as well as what action is taken when/if air conditioning systems fail and how thermal comfort is monitored overall. Much of the time risk assessments are conducted to assess physical risks to employees, but it is just as important for employers to assess the psychological risks that employees can be exposed to. In Thriving at Work: A Review of Mental Health and Employers (2017) by Lord Dennis Stevenson and Paul Farmer, it is noted that poor mental health costs employers between £33 billion and £42 billion a year, with an annual cost to the UK economy of between £74 billion and £99 billion. By assessing the risks to employees’ mental health, employers not only show care and consideration, but save money at the same time. 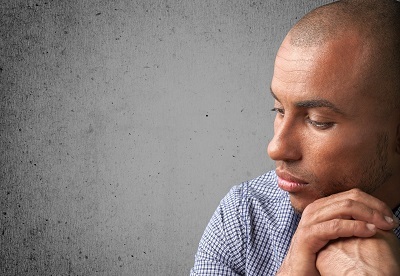 The earlier an assessment is made the better; neglecting the risks to employees’ mental health can result in frantic efforts to complete risk assessments when a grievance or claim has been lodged against an employer, albeit far too late. To assess the risk, employers need to consider work factors that could cause psychological harm such as high workload, lack of flexibility and lack of training. The HSE’s Management Standards set out six key areas: demands, control, support, relationships, role and change. These, if not managed effectively, can lead to poor health, both physical and psychological, reduced productivity and increased sickness absence. Using the classic five steps to risk assessment, the Management Standards aid in identifying the hazards within an organisations (step 1), identifying problem areas using existing data and employee surveys to help establish who might be harmed and how (step 2), to evaluate the risk identified (step 3), employers can link problems to solutions, provide feedback and address individual concerns. At the record findings stage (step 4), employers can develop an action plan that is to be implemented. Monitoring and reviewing outcomes (step 5) will aid in understanding how effectively the action plan is working and risks are being controlled. Remember to respect employee’s confidentiality but also ensure to involve them, as well as employee safety representatives. Detailed information and guidance is available in your Stress at Work and Mental Health at Work topics.